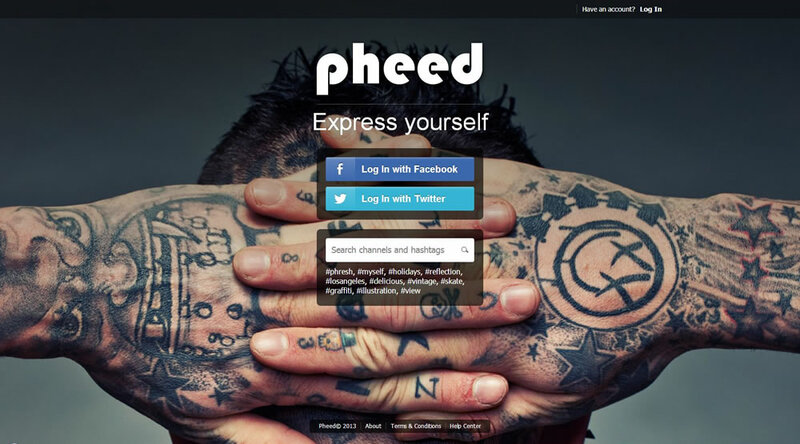 Pheed: The Right Ingredients For All Your Social Media Sustenance? When new social media platform Pheed launched three months ago, it took mere days for Forbes to confidently propose it as a Twitter rival and serious threat to the social media landscape. And indeed, with its celebrity endorsements from the get-go and inarguable new media pedigree (Pheed is self-funded and founded by CEO and new media entrepreneur, O.D. Kobo), it certainly seems like the precocious kid on a daunting block. But while Pheed has won the popularity contest user-wise (350,000 unique visitors in its first few days and big-name advocates such as Paris Hilton and Miley Cyrus touting its wares) and impressed with its tech credentials (the iPhone app made Apple’s top apps chart within a month), critical reception has been divisive. I’ve been speaking with the man behind this hyped machine, O.D. Kobo, to get the additive-free view of its motivations and aims. As the ultimate mix of all your favourite flavours (Twitter, Facebook, Instagram, Tumblr, YouTube), many people will wonder in the first instance, of course, if it is even necessary, and what, if anything, it can offer that is fresh to the table. Pooling these micro-mediums in the wake of Google+’s infamous tumbleweed disappointment and MySpace’s dubious resurrection may seem risky at best, but Kobo believes Pheed holds the user-based temptations to succeed where these others have faltered. The most obvious and unique difference is its in-built business model, whereby users (Pheeders) may charge for access to content. The platform would then take 50% of the fees made from either the monthly subscription or pay-per-view options, but what Kobo does stress is that this is entirely optional on the otherwise-free service and that first and foremost it is an alternative, all-inclusive, social media platform. What he also stresses is that the motivation is neither financial nor egotistical; it was never, he states, launched as a rival to Twitter, Facebook et al, as has been reported, and he seems genuinely happy for the business model to fall secondary to what is essentially an invention born of user-based frustration. And it is this frustration that has led to the tweaking of the converged mediums for what he believes will be the ultimate user experience. Where Pheed may not necessarily be covering any groundbreaking territory just yet, the Pheedees appear to be striving to perfect platform functionality, adding social elements where otherwise lacking and providing optimal technical response with, for example, greater video conversion rates. There is also the option to copyright Pheeds, more open social integration (Pheedback) and extended character chatability (420 v Twitter’s 140.) And in light of the recent fallout from Instagram’s lambasted licensing announcement, greater user control will doubtless be hugely welcomed. In addition, Pheed is currently closed to new user sign-ups (both app and web sign-ups will be available again shortly) while it takes stock of feedback, adjusts, and rolls out extra tech goodies like the forthcoming Android app and image filters. But can it be as delicious as it seems? Potentially, yes, and after all, what’s not to like about a free platform that offers your favourites, user-polished, with emphasis on creator-controlled and potentially-monetized content? For me, one thing: it’s hard to see the gold for the glitter. Kobo refutes any press insinuations that celebrity endorsements have been paid for, but rather that it was grassroots product-plugging and word-of-mouth that gained this startup notoriety. But with honest product belief and an open embrace from big-draw names, I can’t help but fear pandering to such a demographic and, therefore, an image, could be detrimental to Pheed; one’s aesthetic or cultural meat is another’s poison, and never is this truer than in the fickle world of media where connotations can be a seriously damaging force. What has clearly been instrumental in garnering Pheed all-important noise and swift growth may conversely prove to be its fatal detraction as, after all, a celebrity feeding frenzy isn’t going to be what brings everybody to the social media table. But with Instagram cooking up a recipe for disaster and Instagram-owning Facebook continuing to actively disrespect all concerned with its perilous ‘too big to fail’ attitude, and Pheed vigorously bucking this with its open and attentive approach, Pheeding time could be now. You are currently browsing entries tagged with pheed at Eclect Elect.